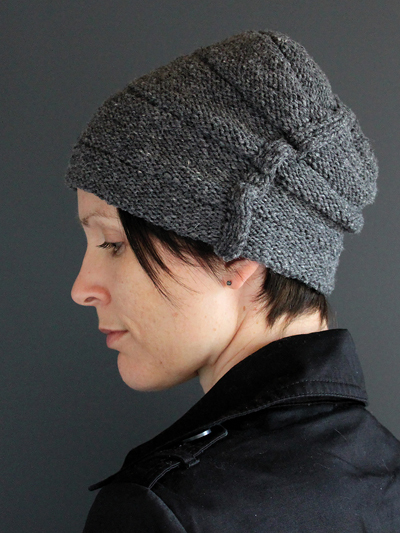 This modern hat uses reverse stockinette stitch stripes and vertical expressed seam edge to provide an urban detail. 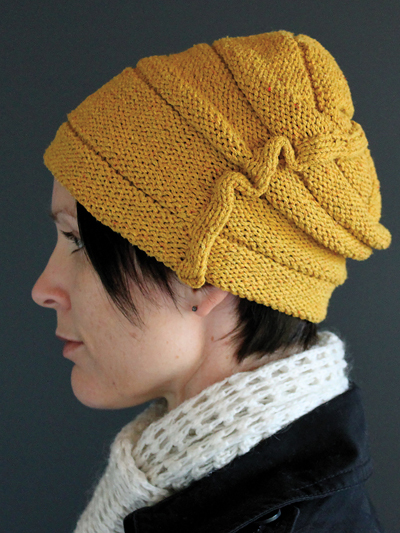 Short-row shaping at the nape ensures a stylish slouch and fit to the head. 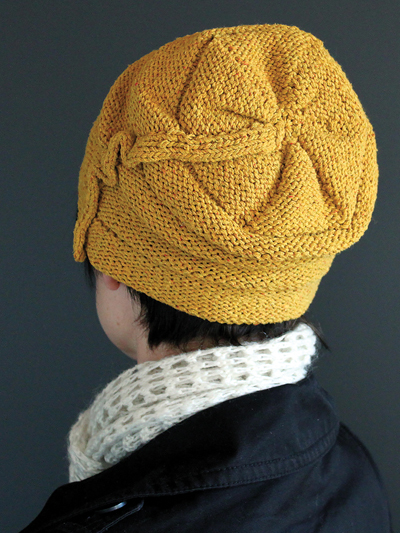 Knit with #4 worsted-weight yarn at a gauge of 19 sts and 30 rows per 4" using U.S. size 7/4.5mm needles. Design by Assemblage. Circumference: 18 (20, 22, 24)"